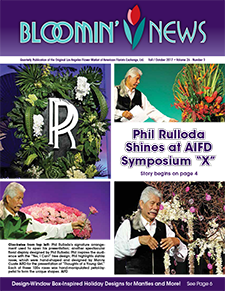 Leave it to Southern California’s floriculture industry to cultivate and support a trade publication that’s as engaging as it is timely and informative. But that’s precisely what Bloomin’ News is, and has been, for over 60 years. 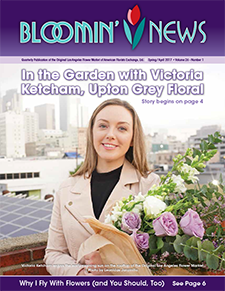 Published quarterly, Bloomin’ News regularly serves up its own down-to-earth take on industry news and topics to more than 5,000 growers, wholesalers, vendors, retail florists, designers, event and wedding planners. Amazingly, this popular publication covers local, regional and even global happenings, while also keeping the industry connected to its past, present and future. To subscribe to a print and/or email version of Bloomin’ News, click here. 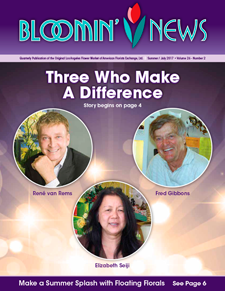 For more information about Bloomin’ News, please visit the official website.